If you’ve ever had a leaking or frozen pipe, you know that is not a fun thing to deal with. being able to detect it before the problem gets out of hand is important. That is what Roost Smart Water and Freeze Detector strives to do. We talk with David Henry of Roost at CES 2017 to find out more. Roost is a Wifi enabled product that is placed in an area under the pipes where water pooling could occur. If the device detects any type of precipitation, it will alert you via app to the issue. It will also alert you if the area is too cold or too humid so you can take action. Put the Roost Smart Leak detector by the water heater, under a sink or toilet, or wherever you could expect a water event to happen. The device will run on 4-AAA batteries for 3 years before replacing. The product is in Pre-Order right now, shipping in February. Each Roost Smart Leak Detector is $49.99. 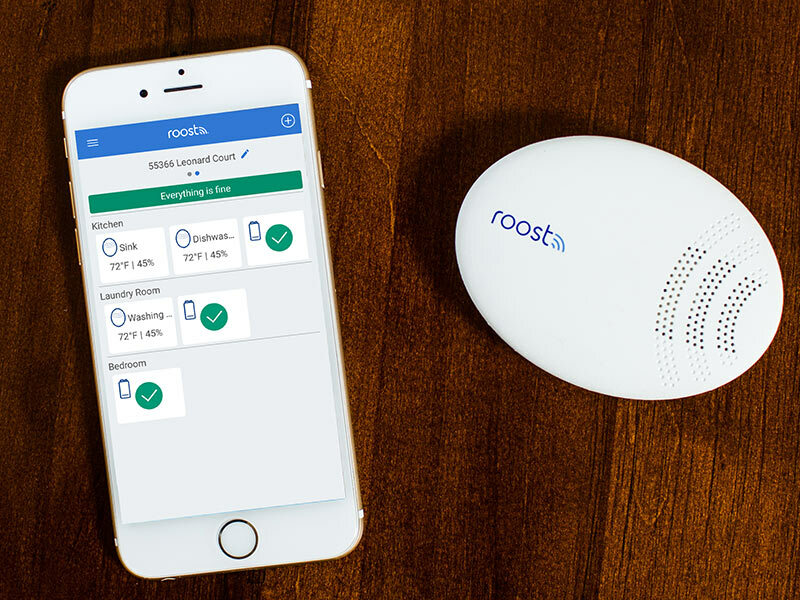 Roost also has a smart battery for your non-wifi smoke detectors and carbon monoxide alarms. This is perfect for anyone that doesn’t want to replace or cannot replace their detectors. This is a special 9-volt battery where the Wifi module detaches from the actual battery. When the 9-volt needs to be changed in about 5 years, you replace only the battery. The Roost Smart Battery is $34.99 and available now.